Reminded us how he and Katya looked some years ago and told that recently has been their anniversary – 17 years together! That’s pretty impressive! Victoria and Nikita not the most active users of social networks, so it was nice to see a photo of Victoria. Pavel Drozd and his usual photoset) This time in Grenoble. As always without Alla. and won another gold! Congratulations! Russian ice dance is soo back behind. The only Russian ice dance couple worth mentionong are Stepanova-Bukin. Bobrova should have go get pregnant last year. They don’t stand a chance, only being pathetic. It’s all very sad! Russian ice dance is a lot like Chinese ice dance now. Russia has such a great past though and I’m sure some of these people wanted to be great successes like grishuk and platov or bestemova and Bukin or klimova and Ponomarenko or even Navka and kostomarov! Now the best they could hope for is like Domnina and shabalin or kohklova and novitski. I would say I liked better Domnina/Shabalin than Navka/Kostamarov. But yes, every discipline has good and bad times in Russian fs. I remember that there was times when in ladies was very poor situation, but now we see one star after another.. Everything changes! Of course not. Ruslan Zhingashin is on a photo below, with this tiny little girl. And guys, please, stop moaning. Every discipline of every sport in every country has its good and bad times. Once upon a time female skating was, say, non-existent. Now there are more stars in among girls than in the sky. Look at Spain – 20 years ago they literally had no skaters and what’s going on now? Or Aussies. Or even Canada, particularly in terms of ice dance. It’s changing. The Russian style is now out, but surely will be back in. They have plenty of young talents that are promising at very least, like Anastasia and Kiril, Arina and Maxim or Sofia and Egor. Russian style is out so why are these people wasting their lives doing it?? Totally agree. Even T.Tarasova says it open when she comments championships(not in the same words but with this meaning). 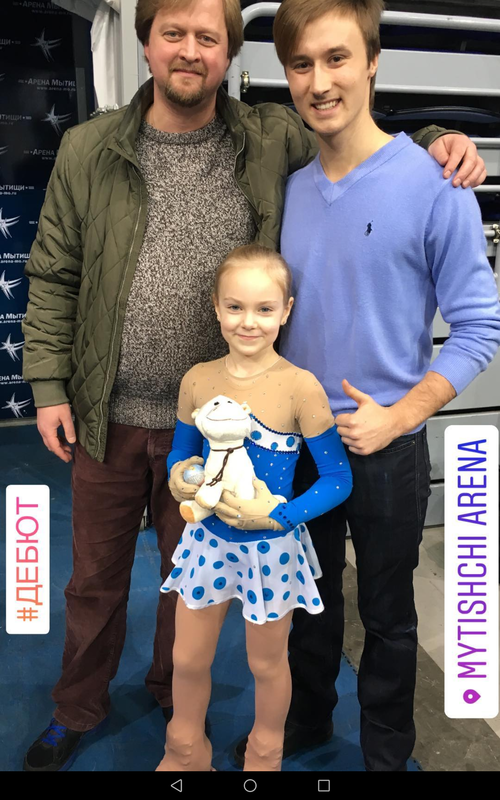 New skaters and particularly their coaches should look for trendy dances and not for the same Russian style which was victorious some time ago. But it’s very hard to change way of thinking, I suppose. Even Nikolai Morozov seems to me still working in the same style. However his Swan Lake was a masterpiece at last Olympics.